The term retinitis pigmentosa (RP) refers to a set of degenerative genetic diseases that gradually kill off the light-sensing cells (rods and cones) of the retina, eventually causing blindness. It is a relatively rare genetic disorder, affecting only 1 in 4,000 people. Retinitis pigmentosa can be difficult to adapt to without proper support. Although there is currently no cure for RP, regular visits with your eye care professional are important to monitor the progression of the disease, adapt to the condition, and become aware as new RP treatments are available. Poor and narrowing peripheral (side) vision. Problems reading or doing intricate work due to deficiencies in the central field of vision, which often disappears first. Eye exams and vision tests can give you an idea of how your condition is progressing so that you can be aware of and prepare for any adaptations you need to make as your vision declines. With modern technology, there are currently efforts under way to provide treatments to slow the progression of RP, or to create solutions that simulate the behavior of healthy retina cells. 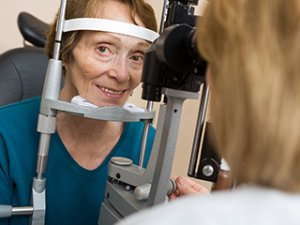 Your eye care professional can inform you of any developments that might be able to make a positive impact in the quality of your life as you live with this condition. If you or a loved one suffers from any of these symptoms, please contact your eye care professional today for an appointment. Northumberland Optometry Your Optometrists in Cobourg and Port Hope, ON.